Enhance your skill set and upgrade your standing in the bodywork community with this advanced online course in the treatment of lower body pain problems and entrapment issues. Upon purchase, you’ll receive instant online access to the eCourse. Rich in detail and explanation, these practical resources teach anatomical relationships of muscles, connective tissue, joints, and the central nervous system. 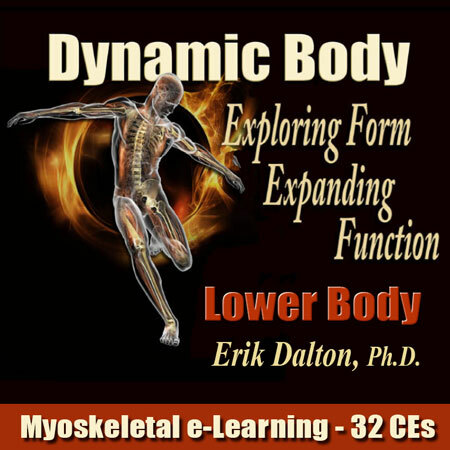 The Lower Body MAT eCourse is part of the Foundational MAT Program and will take you one step closer to Master Myoskeletal Therapist (MMT) certification. Designed for health professionals including those working in sports medicine, massage therapy, structural integration, physical therapy, athletic therapy or personal training. Note: This is an eCourse. You’ll receive instant online access after purchase. No physical products included. Upon purchase, you’ll receive instant access to all course materials on our online learning platform. You’ll have lifetime access to these materials, so you can study and practice at your own pace before taking the course test. When you complete the test for this course, we’ll send you a certificate of completion to submit for your license renewal and to display on your office wall. You will earn 32 CE hours for your bodywork licensure, recognized by the National Certification Board of Therapeutic Massage and Bodywork and most State Licensing Boards. And you’ll be listed in our online directory of bodyworkers with the Trapped Nerves Specialist Certification.